We bring the gym to you, offering cutting-edge personal training and fitness classes. Atlas has knowledgeable staff, top-of the line equipment and a supportive environment to help you identify and achieve your goals. You’ll receive comprehensive training composed of core fitness principles as well as creative and challenging exercises with special care paid towards advancing your personal fitness level while preventing injury. We offer a balanced range of circuit based classes. All classes are designed by our professional trainers and geared toward enhancing your speed, agility, strength, power and cardiovascular endurance. 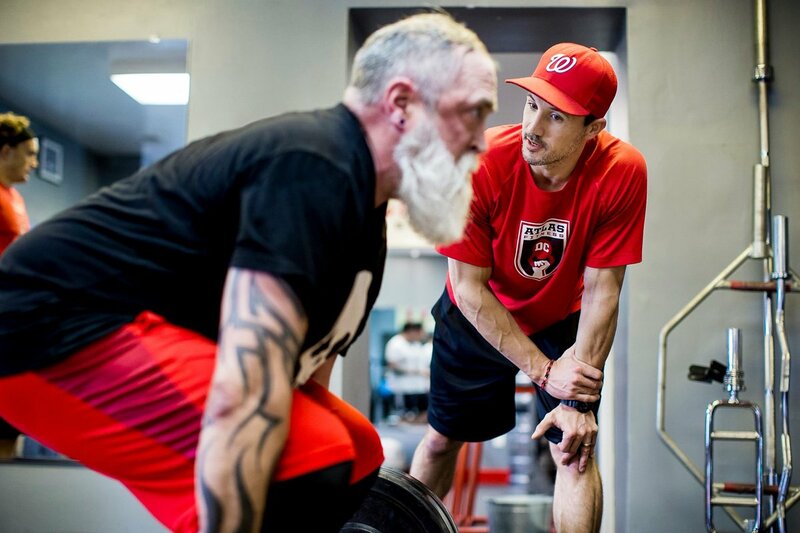 We consider your personal goals, fitness level and health history to build you a personalized training program focused on proper technique and preventing injury. No equipment? No problem! We bring the gym to you. Create a group of co-workers, neighbors, family or friends and share a personal trainer at the location of your choice. With the Atlas Mobile Gym there is no limit to the amount of exercises and fun we can offer in a team environment! "Tim earned his degree in Education and Sports Medicine..."
"Motivating and lots of fun Location was great, and got a killer workout in. Definitely recommend!" Suggest a Group X Location Want Atlas Mobile Gym at a park near you? Contact us with a suggested location!